Erik Goddard: Prima Serata, a workshop in 1/2" scale, Jan 18, 2013, Sarasota, FL. 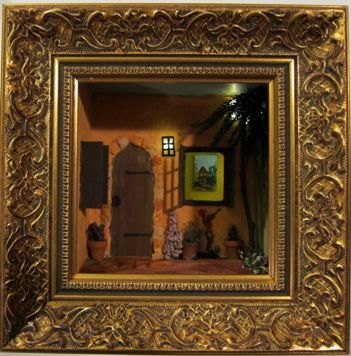 Prima Serata, a workshop in 1/2" scale, Jan 18, 2013, Sarasota, FL. 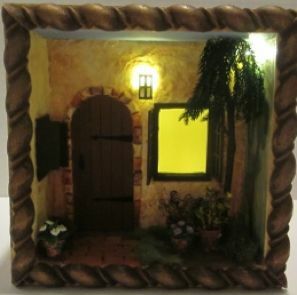 Introducing: Prima Serata, a workshop in 1/2" scale, to be taught Jan 18, 2013 in Sarasota, Florida. Darkness is slowly descending in this bucolic village not far from the Mediterranean, and the soft glow of quiet lights guides your way as the subtle hues of rosemary, tomatoes, olive oil and dark red wines waft through the evening air. Prima Serata is a bit on the small side of ½” scale, allowing portability and independence from the electrical circuit. This setting is lit with long-lasting LEDs and is powered by battery, meaning there are no external cords and nothing to plug in. You can place this box on a shelf, desktop or any location you choose and not worry about a nearby socket. Prima measures 6 x 6 inches and 4 deep. Take care of the ground, tile, and landscaping details. A standard oak narrow frame is included which can be built in class out of the wood shown here (but will be plain so you can paint it). Or you can choose your own design. 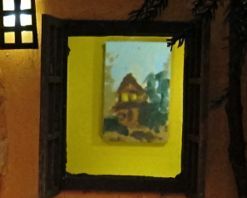 You get a mock painting to put on the inner room, or you can choose your own. 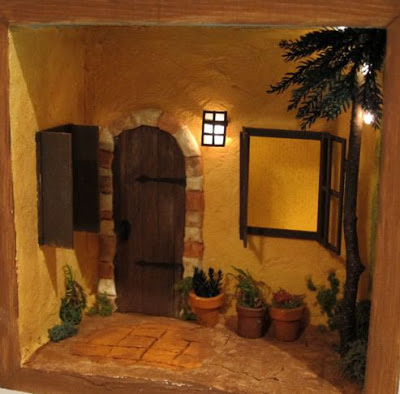 You will also build that little wall lantern you see. 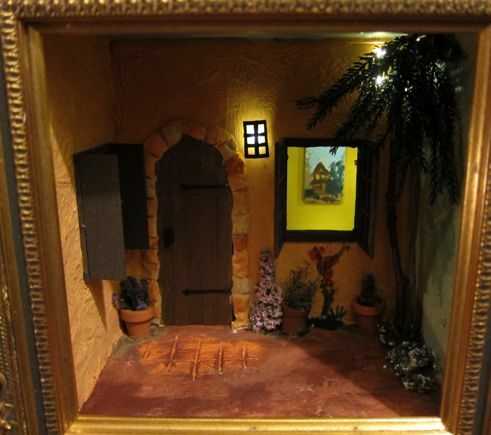 The price of the workshop is $175, which includes the box, all materials to build the scene as shown, paints, supplies, spackle, Paperclay, wood and all electrical. A simple oak frame is included, which we can apply in class, but you are free to choose your own instead. To sign up, please email me at mail@erikgoddard.com. Hurry, this is already starting to fill up and I'm limiting the size of the class to 12. I will forward a small list of helpful tools as the date nears. Wow! 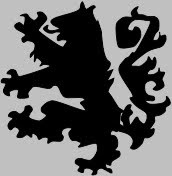 There is no one whoc an create atmoshpere the way you can. I envy the people who will be taking your class. You really are the best at aging a scene and making it look real.